Sebastian Stan has been inked for a multiple film deal with Marvel Studios. 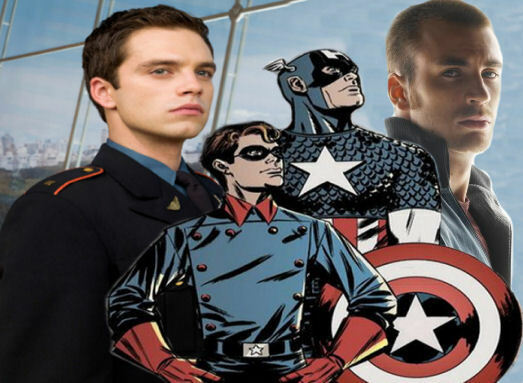 The 26 year-old actor will play the faithful sidekick to Captain America who fights alongside him throughout WWII. 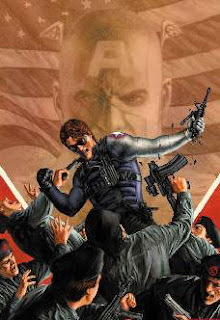 While Stan has been linked to a multiple film deal, no confirmation was made that his contract included any spin-off films following Bucky's later character Winter Soldier. *I really hope that there is a Winter Soldier film somewhere in Marvel's future. I've never watched Gossip Girl, however I have seen Sebastian Stan in a few of his roles and I have to say, he should fill in nicely as Bucky. I won't say he's my first pick or even someone I would've considered, but now that the deal is done, I'm on board to see what he could do. Marvel has yet to reveal any of Bucky Barnes character development in "The First Avenger: Captain America," but here's a little refresher on his comic book backstory. James Buchanan "Bucky" Barnes was a orphan, his father was killed in training prior to the War and as a result the military adopted him. Later nicknamed Bucky, he quickly became a fixture of the Army Camp in Lehigh Virginia. It is here that he befriends Steve Rogers only to later learn of Rogers identity as Captain America. Bucky insists on fighting alongside Cap's and undergoes intense military training. The U.S. military even justifies sending a young teen into battle as a way to rally the youth of the United States. Barnes and Captain America spent much of WWII fighting side by side against Nazis, the Red Skull and the evil Baron Zemo. Clearly this is just origin and Christopher Markus & Stephen McFeely's script could have completely changed Bucky's backstory and role, but I would bet that they stick pretty close to Joe Simon and Jack Kirby's original invention.